At the beginning of the year I stopped eating meat, after educating myself on areas of the food industry I just decided to cut it out completely. I then started looking into the cosmetics industry as its an essential part of my job. I’d love to have a kit which is solely ethical/sustainable/organic etc. Unfortunately this won’t happen overnight, but I have found some beautiful skincare brands that I now can’t live without. Since its launch in 2000 REN has quickly become a cult favourite amongst beauty editors and consumers. They are Cruelty Free/ almost all Vegan (apart from a few with beeswax). They are also Free from a long list of Chemicals all shown on their packaging. 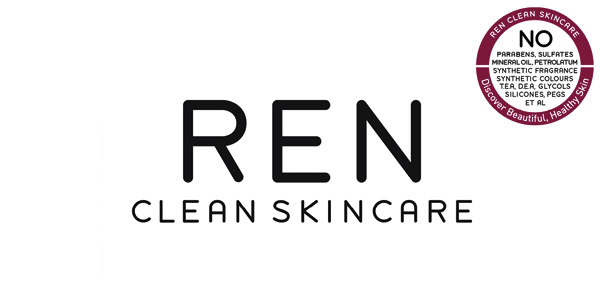 REN have beautiful products without the steep prices that you might expect from higher end cosmetics. I’ve started using this product recently, its very gentle on my skin and doesn’t leave it feeling dry or tight afterwards. I’ve been using it with my Clarisonic and it leaves my skin feeling so fresh and clean, a little goes a long way so it lasts for ages. Dr Hauschka Skincare’s goal is “to support the healing of humanity and the earth”. They are Cruelty free and engage in projects the world over that help transform disadvantage into self-reliance and economic sustainability. WALA founds and supports initiatives in developing parts of the world to encourage organic farming and economic self-sufficiency. It’s an amazing company with some beautiful products. Its incredible to know your money is being spent on a worthy company doing good. This was a bit of a treat as its on the pricey end, and I’ve been using it for a couple weeks. Its beautifully light and spreads well, you don’t need too much so hopefully it will last a while. It smells nice and subtle, and keeps my skin hydrated all day without feeling greasy or clogging my pores. Launched in 2007 Pai comes from London, it’s Cruelty Free and only uses naturally derived ingredients approved by the Soil Association. It claims ‘Organic solutions for Sensitive skin’. They sell travel sizes which is great to try out their range without spending a fortune. I keep this product in my kit, its a great gentle exfoliator. Your skin has to be looking its best before you think about foundation. Dry skin can flake making foundation can become blotchy and impossible to even out for a flawless finish. Apply to a dry face and then add water, I quite like using a damp muslin to work it into the skin, or a damp powder puff works great. It smells amazing too!